For the past 35 years Glasgow-based Linn Products have been producing some of the worlds finest loudspeakers. With iconic speakers such as the Isobarik, Kaber, Kan and Keilidh, Linn have developed a global reputation for producing some of the world’s finest loudspeakers. The current range of loudspeakers builds on recent technological advancements to provide a range of loudspeakers to match your specific system’s performance and price point. 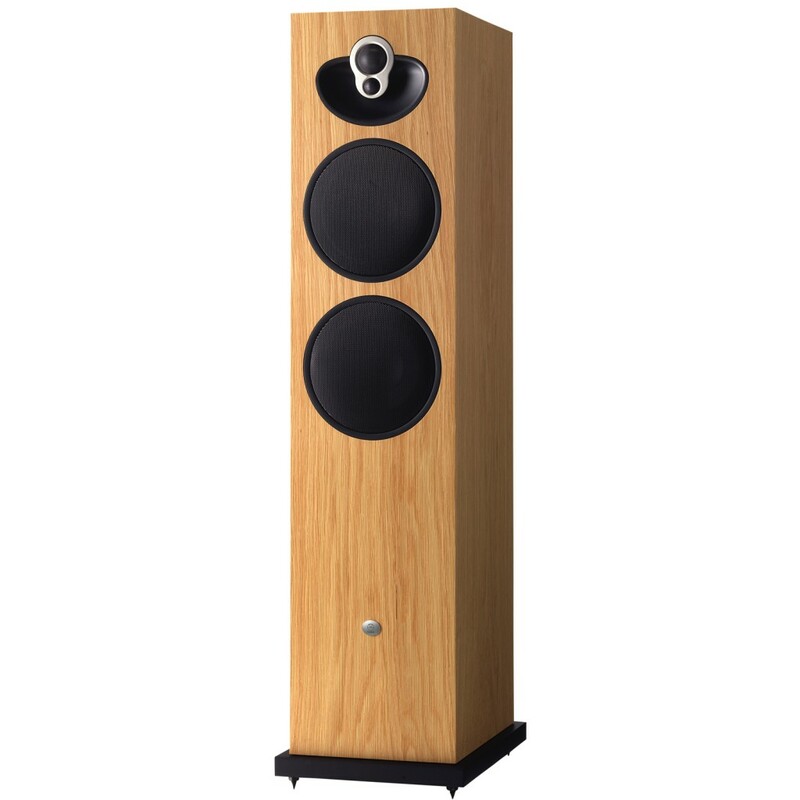 Introduced in 2008, the Klimax 350 stands at the top of Linn’s current loudspeaker range and is the most technically advanced speaker the company has ever made. Standing at over 1.1 m tall and weighing in at a hefty 71.2 kg, the beautifully curved, ultra-low resonance cabinets incorporate Linn’s patented 3K Driver Array as well as an Aktiv Servo-Controlled Bass system and a plasma-cut ‘armour-grade’ steel plate stand to provide rock-solid stability. Available in Passive or Exakt versions, the Exakt models also benefiting from 3000 W of power amplification per speaker, the Klimax 350 is available in a range of real wood veneers and high-gloss piano finishes. Designed to work with Linn’s flagship Klimax equipment and top-flight LP12, the Klimax 350 incorporates the best of modern technology to achieve a smooth, textured, melodious and detailed sound. 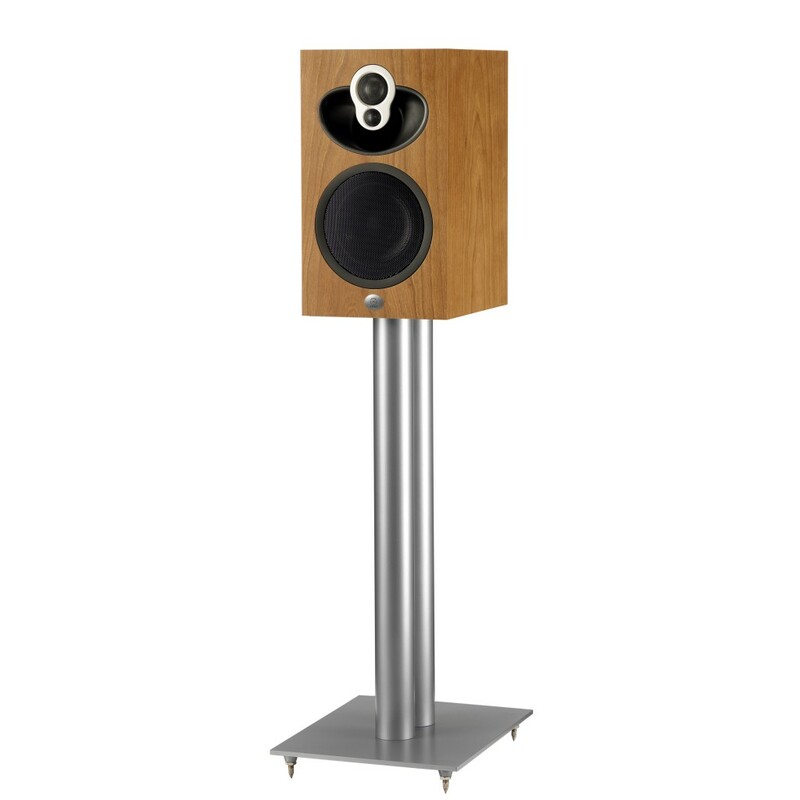 The Akubarik Passive is a 5-way Floorstanding speaker which offers the same elegant styling as the Exakt Akubarik but with a built-in, high quality crossover. It therefore allows you to pair them with the amp of your choice but also has the flexibility to be upgraded to Exakt in the future, should you wish. Building and improving upon the technologies used in the Majik Isobarik, the Akubarik also houses an Isobarik bass system cleverly concealed in the lower section of the loudspeaker cabinet to produce lots of rich, deep bass within a surprisingly compact and sleek package. The Akubarik range are available in a wide range of standard and high-gloss real wood veneers and with a chrome or black 3K array that make it a perfect match for any home and listening environment..
Exakt Akubarik speakers combine Linn’s integrated Aktiv technology developed for Akubarik speakers with Exakt technology to put the source in the speaker. The five channels in each speaker are fed by a single digital input using the Exakt Link output from an Akurate Exakt DSM. The on-board digital crossover in each speaker delivers an independently-controlled signal to each of the drive units, via independent volume controls, DACs and power amplifiers. The five on-board amps are rated at a total of 600 W.
Exakt technology completely eliminates magnitude and phase distortion and corrects for drive unit variation, whilst Space Optimisation+ ensures your speakers are perfectly optimised for your unique listening environment. Exakt Akubarik uses an Isobarik bass system, consisting of two drive units housed in the base of a beautifully curved and compact cabinet, letting you enjoy a depth of bass normally associated with much larger speakers. High and mid frequencies are served with stunning precision by Linn’s unique 3K driver array, also found in their Klimax speakers. Exakt Akudorik combines Linn’s class-leading acoustic expertise with an innovative stand design that houses all the electronics needed to drive the speaker actively, using Exakt technology. Like its bigger brother, the Exakt Akubarik, the Akudorik is fed a digital signal using the Exakt Link connection from an Akurate Exakt DSM. The suspended, acoustically isolated amplifier module in each stand houses four channels (400 w) of Linn Chakra amplification, feeding each of the drive units independently. Powered by a Linn Dynamik power supply, the module is passively cooled, avoiding the need for noisy fans. Available in a range of stunning finishes, Exakt Akudorik fits perfectly into any living space. The Majik 140 is the perfect introduction to Linn’s loudspeaker range. Using technology developed for its bigger brothers, the Akurate and Klimax, the Majik 140 is the perfect stepping stone into the world of Linn. Featuring a 2K array and High quality composite-cone drive units, the 140s deliver pitch-accurate musical bass and a detailed high end. This, in combination with a single port with unique “rifled” design for deep and extended bass, gives the 140’s phenomenal levels of control and timing when playing even the most challenging piece of music. The Majik 140 loudspeakers are perfectly suited to Linn’s Majik range and provide an engaging hi-fi experience for the most discerning listener. Majik 109 is the compact bookshelf option in Linn’s loudspeaker range. Using technologies derived from Linn’s reference loudspeakers, the 109s are true audiophile speakers, capable of delivering a toe-tapping performance wherever they are placed.They use the same 2K array as the larger 140 to give amazing clarity and detail to even the busiest piece of music. The Majik 109’s high quality 5″ drive unit deliver pitch-accurate musical bass and the front ported bass system, hidden behind the 2K array, allows extended bass and greater positioning flexibility. The 109 is the perfect option for a compact listening room, where space is at a premium but the listener does not want to sacrifice quality. Truly an outstanding piece of Scottish engineering.